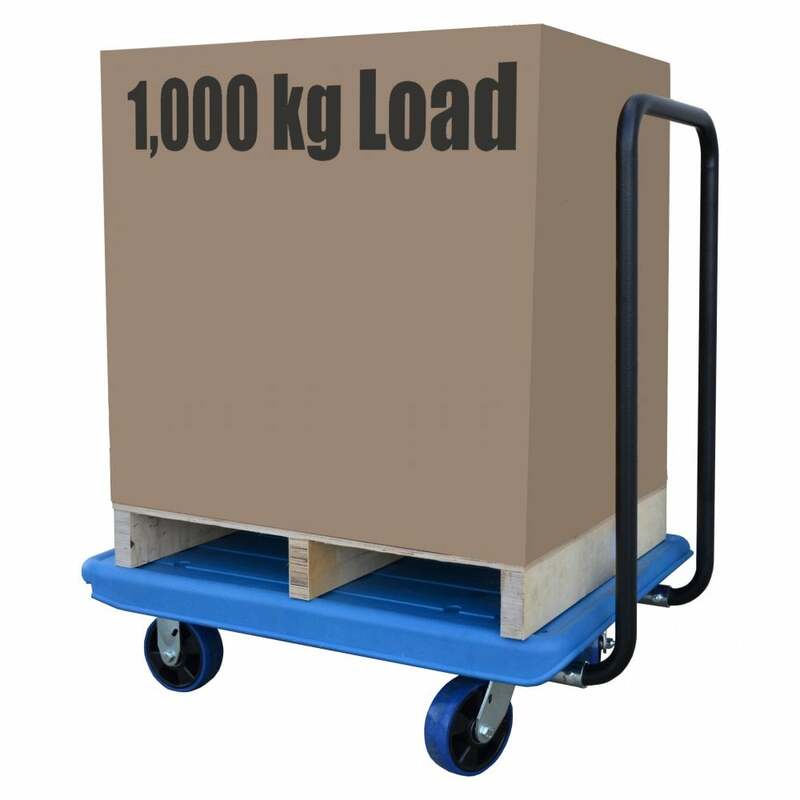 Ideal for moving heavy bulky loads up to 1 tonne! Super strong plastic moulded platform in Blue. Tubular steel loop handle with Black powder coated finish. Fitted with two fixed and 2 swivel castors.